A love of the outdoor was the inspiration for this handsome original firescreens, hand crafted in the USA. 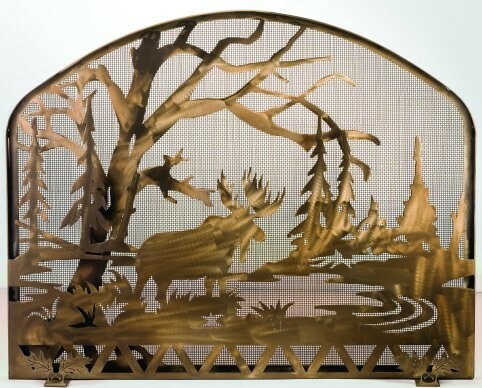 This Antique Copper Moose Fire Screen with mesh has an Antique Copper finish. Made in the USA. A love of the outdoor was the inspiration for this handsome original firescreens, hand crafted in the USA. 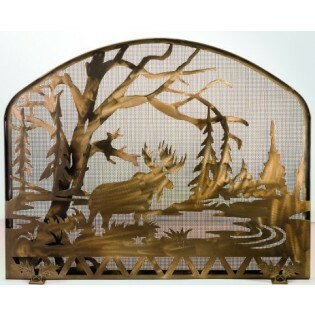 This Antique Copper Moose Fire Screen with mesh has an Antique Copper finish.